The numerous corruption scandals in the recent past have put focus on the effectiveness of anti-corruption agencies and the political leadership in the fight against graft in the country. It has also exposed the weak links between our investigative, prosecutorial and enforcement agencies in the fight against graft. 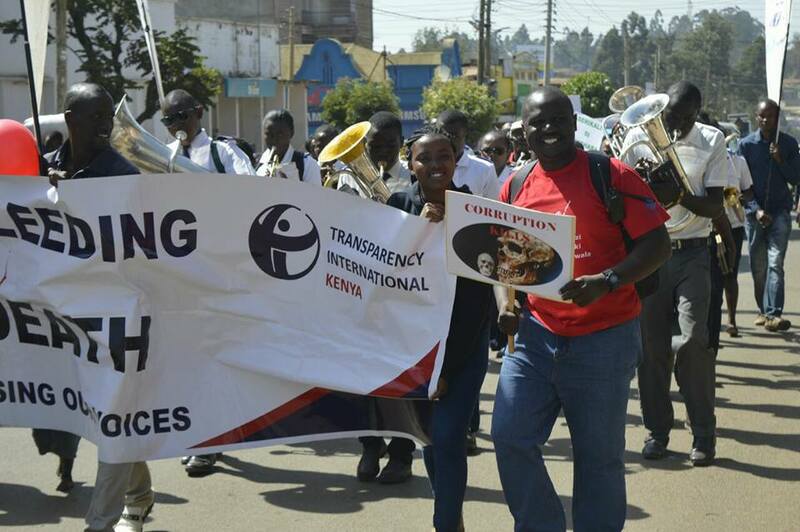 Transparency International Kenya welcomes the efforts put in response to the numerous corruption scandals. This includes arraigning the accused in court, the vetting of Public Officials and freezing the accounts of the accused among other measures. We hope that this time, unlike what we are used to, there will be serious follow up to ensure that those involved are punished in accordance with the rule of law. We note that as far as war on graft is concerned, our problem is not lenient punishment. The problem is a legal system that has failed to deliver justice for Kenyans. There are a number of cases documented by our official agencies about huge amounts of money that has been stolen. There are no commensurate prosecutions to match the loss. Equally important to note, there are few convictions far between. We believe that those accused of corruption should face stringent punishment as provided by the law. This should be followed by recovery of all the money stolen. The law also provides for punitive fines that should be imposed to those found guilty. Most of the scandals highlighted involve procurement for goods or services. The special audit report by the Office of Auditor General pointed out loopholes in the IFMIS system that allowed corruption a free hand. The 2015 assessment report by the EACC also indicated weaknesses in the procurement system that predisposed NYS to theft. It recommended measures that were aimed at plugging the gaps in procurement and aligning the processes to the Public Procurement and Disposals Act. Unfortunately, no follow-up seems to have been done. The recommendations from the Office of the Auditor General and EACC on procurement loopholes should be addressed immediately. In particular, the IFMIS system which is used by all government agencies should be reviewed to ensure it serves its purpose – strengthen accountability. While we acknowledge that it is a good move to vet all Procurement Heads, it is important to note that they are not solely liable for corruption in public institutions. Thus, there is need for a more elaborate vetting framework which targets all public officers in procurement, accounting and the approval chain. It is also important that the vetting exercise has practical timelines for it to achieve its objectives. We need to get a schedule of the vetting process and most importantly ensure that the vetting exercise is carried out within the provisions of the law in which the rights of public workers are respected. Lifestyle audits should be conducted on all public officers. This should be complemented with a robust wealth declaration system for routine asset disclosures. Under Sec. 26(1) of the Public Officers Ethics Act, each state or public officer is required to annually, submit to their relevant responsible commission a declaration of income, assets and liabilities of him/herself, spouse(s) and dependent children under the age of 18 years. It is time to enforce compliance with the law and to put in place mechanisms, aided by technology, for easy processing and follow up of wealth declarations. In addition, we need to re-think the opacity that we have created around wealth declarations. There is no shame in legally acquired wealth. Opacity only helps the corrupt. The Constitution of Kenya gives prominence to national values and principles of governance as enshrined under Article 10 of the Constitution. Among these principles include patriotism, good governance, integrity, transparency and accountability. Further, Article 232 of the Constitution provides for the principles that inform public service which include; high standards of professional ethics; effective and economic use of resources, accountability for administrative acts and transparency among others. We hold the view that it is the patriotic duty of any state or public officer to resign once the aforementioned values and principles have been questioned. Leadership is required to help rebuild the values and ethics of our nation. We thank the media for their sustained campaign on corruption by not only highlighting corruption scandals in the country but also breaking down for the public to understand its burden. As a watchdog, the media plays an important role in ensuring that the country’s resources are well managed and utilized. We therefore urge the media to keep the anti-corruption campaign alive by highlighting the loopholes used by the corrupt and the damage caused to our society. Finally, the war against graft will only succeed if it is carried out within the law. All Kenyans must stand up play a part in emancipating our nation from the shackles of greed and theft.